The ever phenomenal Fena Gitu has blessed us with a brand new fire single. 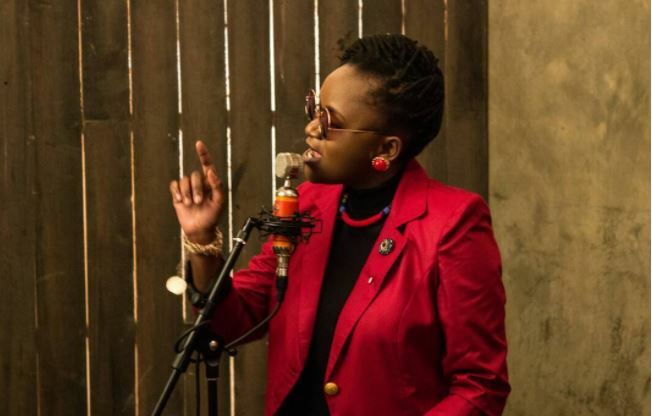 Following on the success of her last solo project ‘Sema Ngwe’ and the super hot projects with fellow cool kids Kagwe Mungai, Muthoni Drummer Queen, Mayonde and Blinky Bill, Fena goes solo in this new single dubbed ‘Doing Her Thing Tho’. According to the ‘Fenamenal’ singer, the jam is for all the Fenamenal women out there dedicated to their grind. ‘Doing Her Thing Tho’ has been put together by the able hands of Ilogos on the audio and Brizzy DJ on the video. This is a fire jam!